In the last 18 years, Rai has specialized in extensive coverage of India. He has produced more than 18 books, including Raghu Rai’s Delhi, The Sikhs, Calcutta, Khajuraho, TajMahal, Tibet in Exile, India, and Mother Teresa. 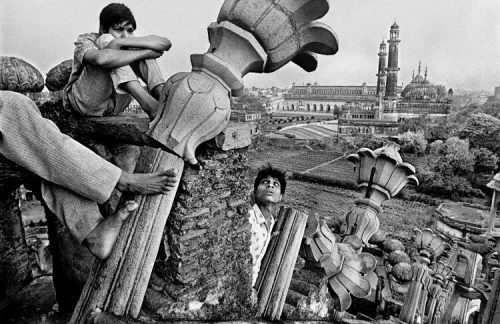 Rai was awarded the Padmashree in 1971, one of India’s highest civilian awards ever given to a photographer. He has exhibited his works in London, Paris, New York, Hamburg, Prague, Tokyo, Zurich and Sydney. His photo essays have appeared in many of the world’s leading magazines and newspapers including TIME, LIFE, Geo, The New York Times, The Sunday Times, Newsweek, The Independent and The New Yorker. Creative Exploration – a possibility within every individual to come up with their own kind of expressions that lay buried inside them. Presentation of Mr. Rai’s selected work with participant – discussion on creativity in photography. Q&A. Portfolio Review, 12 images by each participant. He will explain his/ her works followed by a discussion. The location to be discussed and decided for next day shoot. 7.00 pm: Public lecture by Mr. Rai at Space118. It would be approximately 30 minutes. Review of the works (from morning shoot) and detailed discussion. Review of the selected images and detailed discussion to bring about every individual’s need to concentrate and focus on meditative response to the situations. Space 118, 118, Wadi Bunder Road, Opp. Copper Castle bldg., Near St. Mary’s School, Mazagaon, Mumbai-400010. A retrospective – works of 50 years of his creative journey explained by Raghu Rai. Tea and snacks in the evenings. A portfolio of only 12 selected images (of your own) to be discussed and analyzed. WHO SHOULD ATTEND: 15-45 years. ONLY THE FIRST 15 PARTICIPANTS WILL BE TAKEN. REGISTRATION WILL BE CONFIRMED UPON PAYMENT. Since we have limited seats we will confirm your spot only after receiving the payment.